Truly one of the most well cared for homes on the market. Largest lot on the block! 3 Levels of spacious living! Hardwood-Tile-Laminate flooring, Roof 3yrs old, Brand new 100 AMP service, Formal Dining, 3 "Plus" Bedrooms, Two Full Baths, Concrete Patio, Screened 3 Season Porch Off Garage, Cove Ceilings, Newer Kitchen Cabinets, Seller can accommodate a fast closing. 10 minutes from Downtown St. Paul. Very Clean Truth In Housing Report! Just move in and enjoy! Directions: HWY 94 to White Bear Avenue, North on White Bear, Left on Old Hudson Road, Left on Hudson Road to your new HOME on the left. I was searching for a Property and found this listing (MLS #5139645). 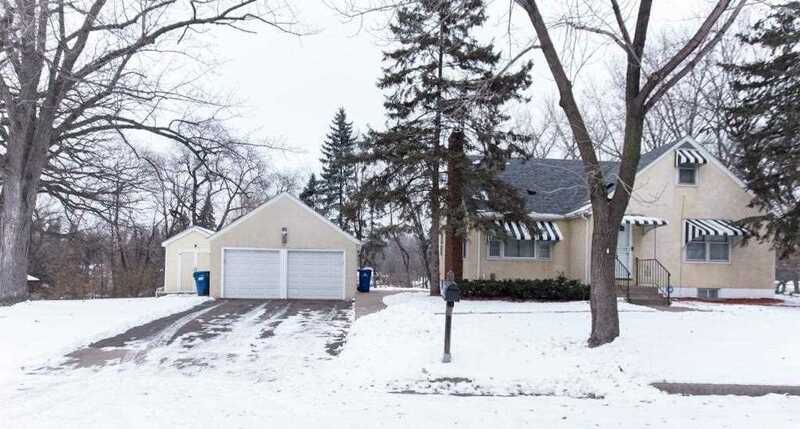 I would like to schedule a showing for 1535 Hudson Road Saint Paul, MN 55106. Thank you! I was searching for a Property and found this listing (MLS #5139645). Please send me more information regarding 1535 Hudson Road Saint Paul, MN 55106. Thank you! MLS # 5139645: This property at 1535 Hudson Road, Saint Paul, MN 55106 is located in the Battle Creek-Highwood subdivision and is listed for $251,960. MLS # 5139645 has been on the market for 95 days.